Just a short one. Scientex has two main divisions, namely packaging/polymer manufacturing and property development. Scientex is a few times larger than these boys. Attaching a PER of 12x, the value of this business should amount to RM600mil. 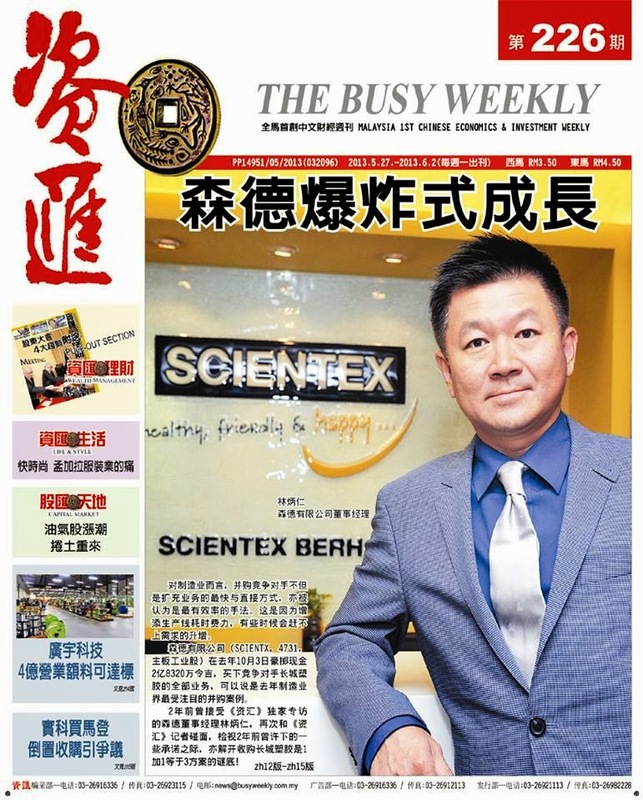 Scientex has a total of 35,058,616 sq ft of land in Johor while another 3,224,277 sq ft in Melaka. The average cost of landbank acquisition was less than RM10/sq.ft. The company’s landbank in Johor could easily fetch RM20/sq ft (very conservatively), thus its land is worth at least RM701mil. Land in Melaka could be worth RM30.2mil assuming RM10/sq ft (iProperty listing RM10-40/sq ft). Therefore, Scientex’s land alone could be worth RM730mil!! Besides, its net profit from property development might be around RM65mil per year. Attaching a PER of 8x to its property profits will give more than RM500mil of market cap. Valuation: RNAV will be at least RM1.06bil, based on combination of PER 2013 of 12x and its land value of RM730mil minus its net debt of RM272mil. This translates into RNAV per share of RM4.93. PER 2013 will only be at a paltry 8x with dividend yield of 3.2% at current price. In addition, where can you find a growing company earning more than RM100mil trading at PER 8x? Attaching a PER of 10x to its EPS of 53-56 sen can easily send the stock price to above RM5.00. Further confirmation of its synergistic benefits from acquisition of GW Plastics will further rerate the stock (Just like Johore Tin). Volume is getting heavier and the closing just now had a buyer buying at one-go almost 100k shares at RM4.26. Looks like this stock is poised for a 'goreng' session. Lim Peng Jin, the Managing Director of Scientex kept accumulating this stock and he currently holds around 51% stake.